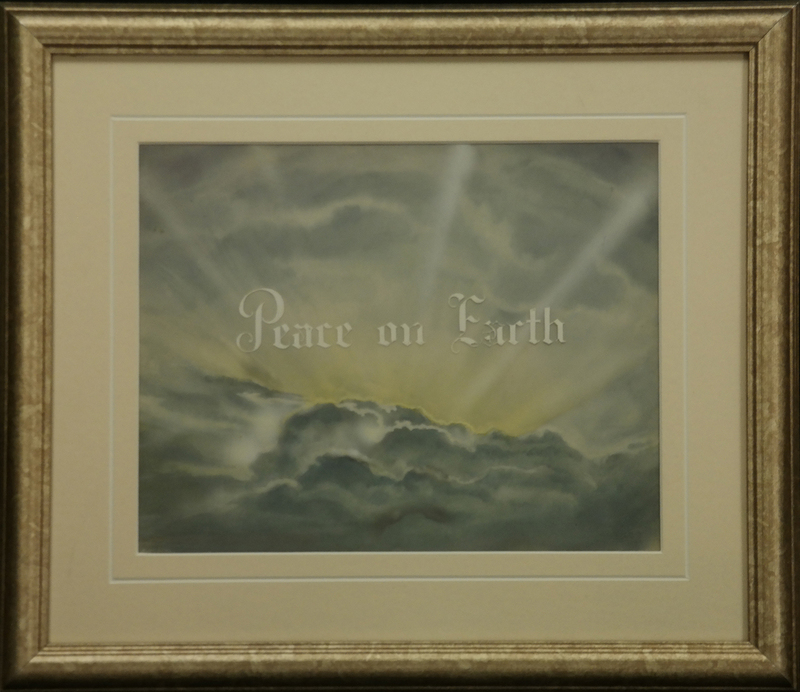 This is a very rare, original title hand-painted card cel and background from the MGM Studios production of Peace on Earth (1939). 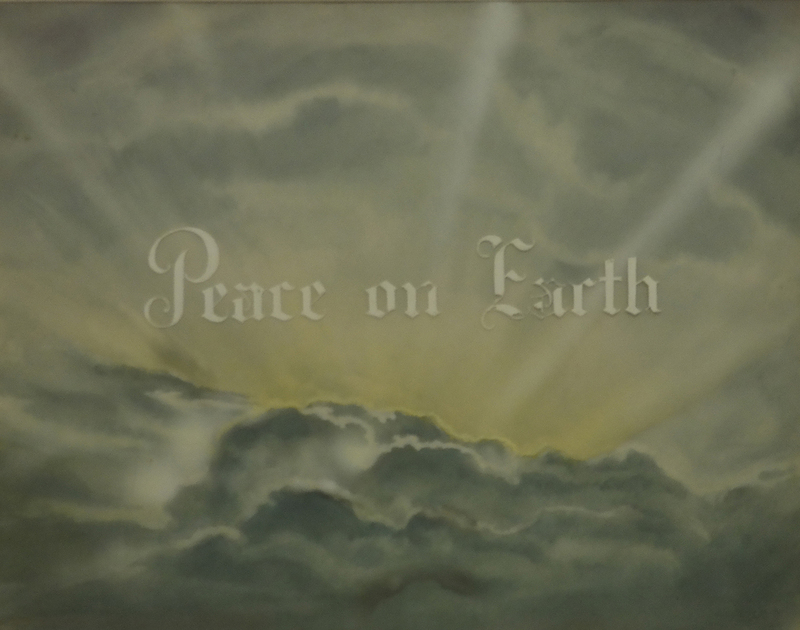 This title card and was created at the studio and used during the production of the film. The overall measurements of the piece are 16" x 18.5" framed with the mat opening measuring 9.5" x 12"" and the image itself measures 9.5" x 12". The piece is in excellent condition and real piece of animation history! This piece is currently on loan for an exhibition, and it is not available for purchase. If you are interested in purchasing this piece, please contact us for further information, info@vegalleries.com.